Business owners, managers, and leaders understand that outside factors may influence their business operations. One such factor is the need to maintain a healthy and safe work environment for their employees. 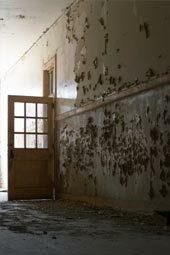 At times, mold, lead, asbestos, and other indoor air quality issues might threaten the efficiency of those operations. Mold, lead, asbestos, and other indoor air quality issues may have to be investigated and understood so that business operations are not impaired by the presence of a potentially hazardous condition. Environmental Support Network, Inc. provides business owners, managers, and leaders with a thorough understanding of the results of their assessment so that effective management decisions can be made in light of these potentially hazardous conditions. Environmental Support Network, Inc.'s assessments are designed to provide this understanding, develop solutions, and implement measures necessary to keep your business moving forward. security from environmental liabilities, and economy for their bottom-line. Copyright © 2011, Environmental Support Network, Inc.